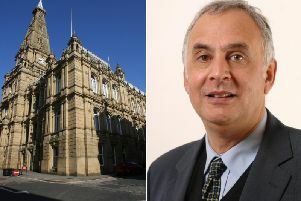 Mr Whittaker - who was elected as the MP for Calder Valley in 2010 - has been appointed Vice Chamberlain of Her Majesty's Household, after serving as an Assistant Whip since June 2017. The new role will involve writing to the Queen on a daily basis to her inform her of the goings-on in Parliament. He will also relay messages between the Commons and the Monarch and will catch up with her in person every couple of months. As a member of the royal household, the Tory MP will attend functions with the Queen and other members of the royal family, such as the annual garden party at Buckingham palace. Speaking in December last year, Mr Whittaker reflected on his experience in the Whip’s office during a dramatic period in British politics. He said: “What a time to be a Whip – one of the most historic times in our history and I don’t think the Whips’ office has had to deal with anything like this for decades really. As part of his new role he will continue to serve in the Whip's and will now oversee pairing arrangements, which enable MPs to miss Commons votes due to ill health or other personal reasons.